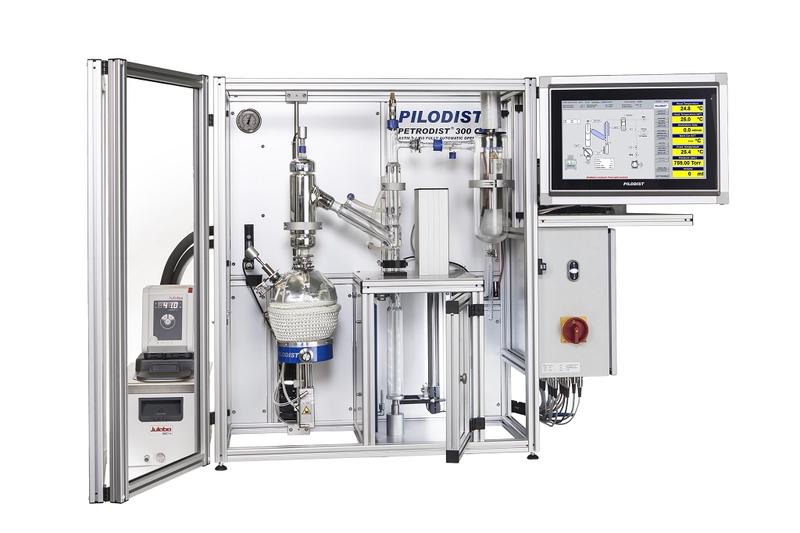 Processor controlled Crude oil distillation system according to ASTM D-1160. System for determination of boiling ranges of crude oil products under vacuum in fully automatic operation. The distillation volume is measured automatically in a tempered receiver. The yield is calculated in percentage to the charge quantity. Distillation report, final data and distillation curve are printed out.